On a hot and humid July afternoon, I had almost two hours to wait due to a flight delay. Unfortunately the air conditioning system was not working which made the wait especially painful. There were many angry and frustrated passengers, most of whom had no choice but to be resigned to sweating it out and hoping they could make their flight connections at the next airport. We all crowded into the waiting area of our assigned gate listening for updates on the status of our flight. There was a single fan aimed in our general direction which provided very limited relief from the New York summer heat. Then, to my surprise, one of the airline employees picked up that fan and repositioned it to aim at the two agents working at the service counter. I was amazed at the brazen disregard for us and I mentioned it, probably a bit too loudly, to the gentleman sitting next me. As it turned out, that comment started a chain of events which ultimately led to a small uprising, that fan being redirected back towards the customers, and another fan being brought in and aimed at us as well. The airline employees who, no doubt, were not having their best day, lost track of the reason they were there: to provide service to the customers. They showed no empathy at all for our plight. They needed to be reminded that, although their day was difficult, many of us faced a more difficult day and we were paying for it. As I witnessed and participated in this incident I remember thinking that losing total track of the customer would never happen where I work. My confidence wavered however, when, at a meeting in a neighboring school district we had to start yelling to hear each other over the leaf-blower being used by maintenance staff outside the conference room. Surely, that wouldn’t happen in my district. Or would it? We’re all about customer service in my department. We talk about it a lot. We train about it. More importantly, we act to serve students, parents, and site administrators. We even reward those who provide the best service. Despite all of this emphasis, I realized one day that, in at least one way, we were just as indifferent as the worst airline employee. Our office hours were 7:30-4:00. They had been for years. And for years, customers who leave their jobs at 3:30 or later have found it nearly impossible to get to our office before closing when they need to interact with us. We had lost track of the reason we have an office. Rather, it (and we) are there to provide customer service. Extending the hours, as we now have, really wasn’t a major inconvenience. It turns out that it’s easy to get so focused on the details of our jobs that we sometimes lose track of the people we are there to serve. I take a couple of lessons from these experiences. 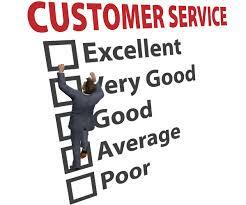 As a customer service department we can always get better if we empathize with the customer. While, as a customer, I will continue to be strident in insisting I receive quality service (especially when I pay for it), my own customer service lapse will remind me to be a little more understanding in my criticism when others’ service is lacking. Posted on September 2, 2014, in Best Practices and tagged Airports, Customer Service, Empathy, Management. Bookmark the permalink. Leave a comment.